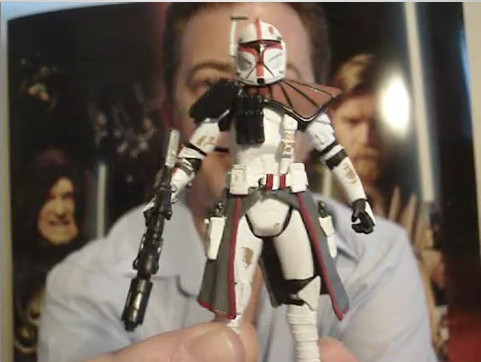 Today's new video clip is yet a third preview for Episode 20 of Star Wars: The Clone Wars Season 4 entitled "Bounty." Enjoy! Today I have updated Movies section with the latest Star Wars Review. In this newest addition, Steve provides a review of the 30th Anniversary Collection's Order 66 2008-1-Obi-Wan Kenobi and ARC Trooper Commander-Target Exclusive **Arc Trooper Only**. Thanks Steve! Be sure to stay tuned for the next great review. Enjoy! Today's new card is available in the Star Wars Cards section. It can be found under Series 2 (Red Cards) and there were 66 cards and 11 stickers in all from 1977. 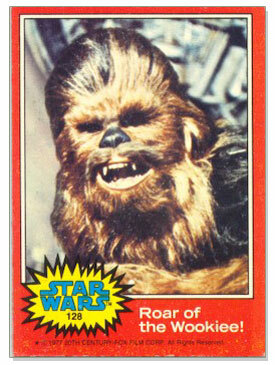 Today's card is 128-Roar of the Wookiee of that series. Look for more cards and stickers every day! Today's new video clip is another preview for Episode 20 of Star Wars: The Clone Wars Season 4 entitled "Bounty." Enjoy! 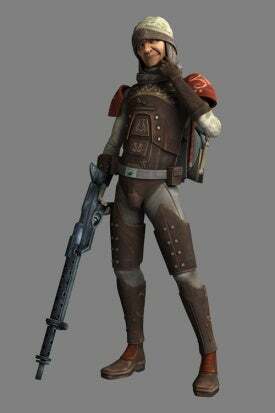 IGN has stated that Simon Pegg will be voicing this iconic Star Wars character from The Empire Strikes Back in this week's episode of The Clone Wars. When we meet Dengar on The Clone Wars he's younger and far more fit. As Pegg tells EW, "Dengar is one of the elite. If you're on Darth Vader's bounty hunter speed dial, you are the best in the galaxy." Today's new card is available in the Star Wars Cards section. It can be found under Series 2 (Red Cards) and there were 66 cards and 11 stickers in all from 1977. 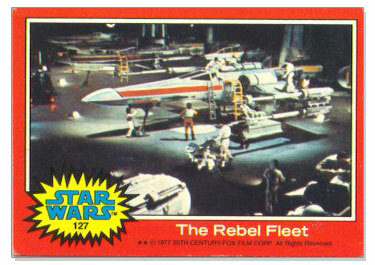 Today's card is 127-The Rebel Fleet of that series. Look for more cards and stickers every day!